It sounds like congrats are in order for the actors who play Andre Lyon and Anika Calhoun on Empire. According to multiple sources, Trai Byers and Grace Gealey are engaged, and they seem as happy as ever. 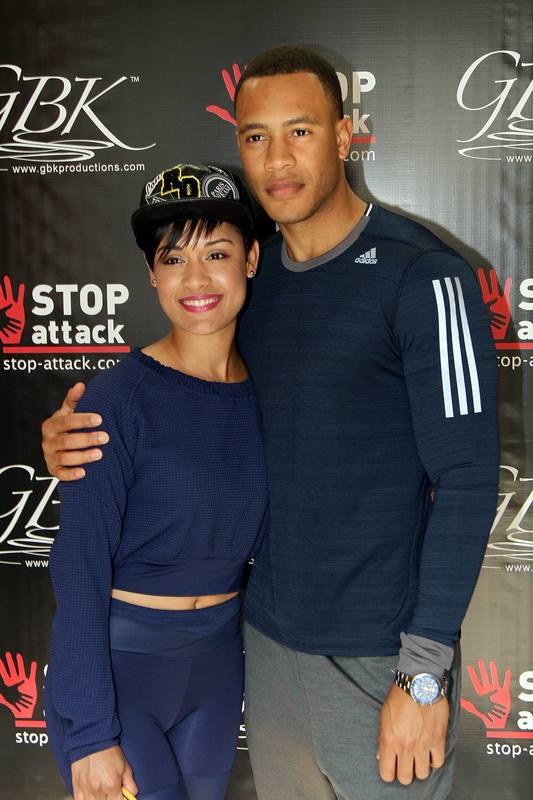 Since the news comes not long after they were first reported to be an item, some fans might be wondering how long Trai Byers and Grace Gealey have been dating. As it turns out, it sounds like this was a case of love at first sight. According to Us Weekly, Byers asked for Gealey's hand in marriage on her 31st birthday, on July 26. The actors reportedly celebrated both the engagement and her birthday with some of their friends and fellow costars at a glamorous seafood restaurant in Chicago. Both actors shared photos from the night on their respective Instagram pages. Byers, 32, captioned his snap as such: "Had so much fun celebrating @gracegealey's life!! Happy Birthday to an exquisite human being! Thank you @kinmontchicago for hosting us. Amazing spot, wonderful food, UNFORGETTABLE night." Bustle reached out to Byers and Gealey's reps, who declined to comment. The low-key pair kept up the status quo: no close-ups of rings or PDA photos here. Though this is obviously all very thrilling news (if true, that is), it may come as a surprise to some fans and followers, especially since the couple was first rumored to be a thing this past spring. Us Weekly reported that the pair were dating in March 2015. According to insiders, they began dating each other shortly after meeting on the set of the hit FOX series, which first hit the small screen in January. "They started seeing each other during the shooting of the show. There was an instant attraction, people working on the show are aware about it," a source said. "When they all hang out together they'll cuddle and give a kiss, but it's nothing obscene." Even though Byers and Gealey have never spoken out about their relationship, it does not seem like they are trying to hide their affection — just look at the lovely birthday message Byers shared for Gealey on Instagram. In addition, they were even photographed at a wedding together earlier this year. It is really sweet to see the development of this romance play out, and it will be exciting to see more pictures — and hopefully hear something from the actors themselves! — as time goes on.